Hot-air ballooning is a unique form of aviation. Some challenges are ballooning’s alone, while other safety aspects are familiar to any aviation operator. How’s this for a safety concept? Weave a giant basket, big enough for up to 20 people, and then put it under a huge bag that you inflate by burning compressed flammable gas. Ascend into the sky. You’ve got no steering and subtle control over climb and descent. Under the circumstances, hot air ballooning has an enviable record, by some measures comparable with air transport. Fatalities are very rare in both. But analysing accidents against hours flown show that non-dirigible lighter-than-air flight also has unique safety challenges. Data analysis suggests that in Australia, general aviation (GA) has the highest number of accidents, followed by commercial air transport and the balloon industry. However, taking into account hours flown, the balloon sector has the highest accident rate, by quite some margin, followed by GA, and then commercial air transport. Between 2007 and 2012, the average balloon accident rate per 1000 hours was 0.356; for GA it was 0.086; and for commercial air transport it was 0.016. Balloon accident numbers are low enough to jump around from year to year-no more than five were recorded in any single year between 2007 and 2012, and that year had only one recorded accident. But figures from the US confirm the general message of Australian statistics-and suggest a divergence between accident rates and fatal accident rates. The US National Transportation Safety Board found 0.075 per cent of ballooning accidents were fatal between 2002 and 2012. The equivalent figure for air transport was 0.06 per cent. In short: the data suggest you are much more likely to have some sort of accident in a balloon than in a commercial aeroplane, but it is likely to be minor, or at any rate, survivable. The odds of your accident being fatal are close to the impressive safety record of air transport. What happens in a balloon crash? A 2013 study of US commercial balloon crashes by the Johns Hopkins Bloomberg School of Public Health found most (81 per cent) occurred during landing; 65 per cent involved hard landings. Collisions: with trees, buildings, power lines or the ground, contributed to 50 per cent of serious injuries and all of the five fatalities in the 78 crashes between 2000 and 2011. Hot air ballooning is both the oldest form of aviation and a relatively new aerial activity. The first person to leave the Earth in an aircraft was Étienne Montgolfier, who made a tethered ascent in 1783. 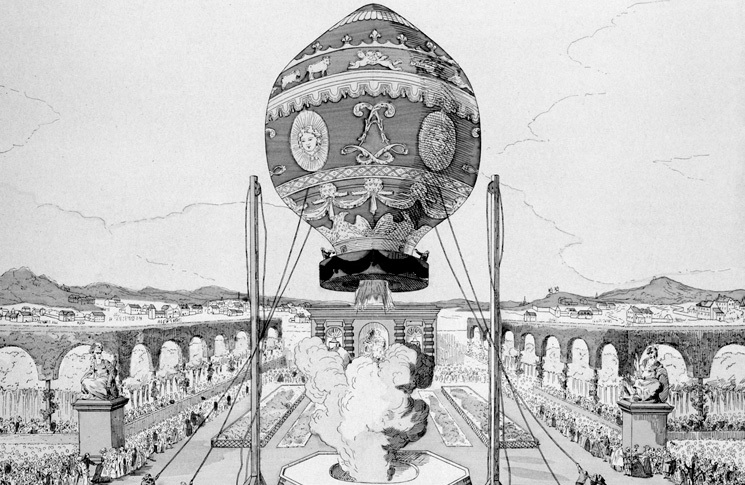 But almost as soon as it was invented the hot air balloon faded from the aviation scene; carrying fire and fuel aloft was a daunting prospect with 18th century technology. Ed Yost invented modern hot-air balloons in the mid-1950s. He made the first free flight of a gas-powered hot air balloon on 22 October 1960. An aspect of ballooning that is often overshadowed by their blissful image of silent scenic floating is that a hot air balloon is a powered aircraft. It may not have an engine but it uses fuel-liquefied petroleum gas (LPG)-to create the energy it uses to fly. Balloons store their LPG in cylinders pressurised to 100psi. This produces a flame up to three metres long at the burner, and any flame from a leak can be expected to be of a similar size. 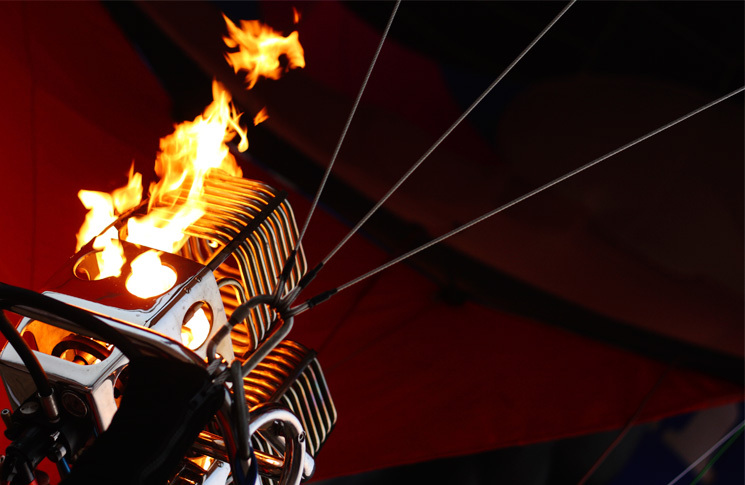 ‘Like any powered aircraft, it combines fuel and flame, and a balloon pilot, like any pilot, has to be mindful of this,’ says CASA balloon flying operations inspector, Don Campbell. Fatigue is a significant potential element for commercial balloon operators to manage, Campbell says. ‘Ballooning is an early morning event. Pilots are up around 3–4am to start getting meteorological information. It must have an effect on them,’ he says. Campbell notes that some commercial balloon operators use fatigue risk management systems (FRMS) to control this hazard, but also points out that balloon pilots generally do not fly as constantly as commercial fixed-wing pilots and have less chance to become habituated to early starts. Breaks of several weeks between commercial flights are common. While many pilots get their primary information from other meteorological sources, such as the Bureau of Meteorology, it is still vital to read notams for the non-weather information they contain, such as aircraft movements, restrictions and obstacles. One aspect of balloon operations not immediately apparent to heavier than air pilots is that the balloon’s ground crew is also important to safety of the flight. ‘Ground crew similarly need relevant training applicable to their safety responsibilities’ says Campbell. As an example he points to the Luxor, Egypt crash of 2013, which killed 19 people. Initial and unofficial reports attribute that accident to a mooring line, which dislodged a gas bottle fitting, causing gas to leak and burst into flame. The death of a woman in July 2013 in a ground accident involving a balloon’s cold air inflation fan has also raised the issue of ballooning passenger safety briefings and their adequacy. In addition, Crock says, the special occasion nature of balloon flights makes passengers more responsive to safety briefings than they would be if they were on yet another airline flight. Picture This takes advantage of the novelty factor to offer three briefings: one when the passengers are collected from their accommodation, one before inflation and a final briefing before take off. Safety culture must cover the entire operation, Crock says, noting that Picture This pays attention to the safety of ground transport for passengers by ensuring drivers and vehicles meet, or exceed, all relevant standards. The ballooning industry’s safety culture will become more distinct when CASA introduces a new suite of regulations, CASR Part 131, to cover ballooning. Under Part 131, commercial balloon operators will be required to adopt a safety management system, formalising and reinforcing what it is hoped the best operators are already doing to manage the risks. But even with appropriate regulations, enforcement and strong safety culture, the unavoidable fact of ballooning life is that a strong gust of wind at the wrong time can mean misfortune. In the past two years, balloons have been filmed colliding with objects, such as the Treasury building in Canberra, trees in Western Australia, and most disturbingly, high-tension electrical lines, at the Albuquerque International Balloon Fiesta in August 2013. Balloons travel at whatever pace the wind is blowing. Usually this means they travel slowly (although high altitude balloons in jetstream winds have attained ground speeds of more than 200 knots). But they also manoeuvre slowly. A 210,000 cubic foot balloon displaces more than 7.3 tonnes of air (on a standard day), and will have a similar momentum. Generally, a balloon will take up to about 30 seconds, depending on load and ambient temperature, to respond to a burner input. Balloons respond faster to the parachute valve being opened, which vents hot air from the envelope, and fastest of all to the ‘rip valve’, which puts the balloon into a fast but survivable descent, in some designs at the cost of damage to the envelope. This leads to a dilemma for balloon pilots facing an obstacle-fire the burners, and take a chance on clearing it; or rip, be more likely to avoid the obstacle, but have to account for a possible rough landing and other damage. Less than a year later, a balloon of the same size hit power lines in Carterton, New Zealand, killing all 11 people on board. The Carterton and Luxor crashes have raised a controversial topic among professional balloonists. Should passengers be briefed in emergency use of some balloon flight controls, such as the fast-deflation system? Advocates say accidents such as Luxor and Carterton might have been prevented, or made less severe, if a passenger were able to use the system to prevent the balloon from climbing rapidly, only to plunge back to earth. Sceptics say that in no other type of aircraft are passengers expected to take control in an emergency. 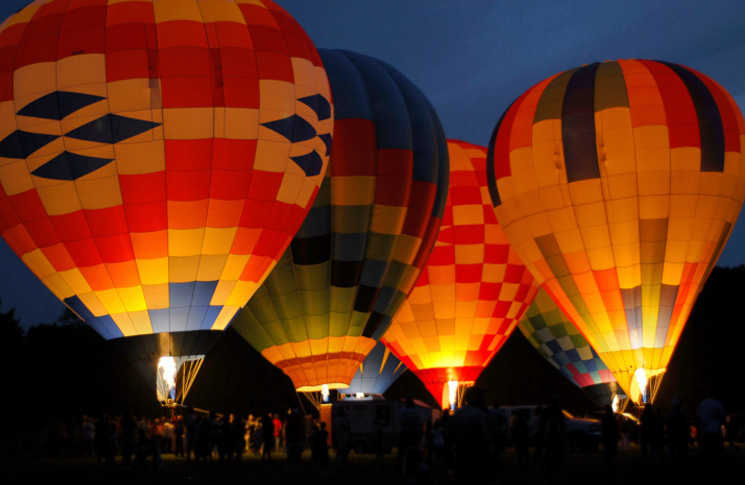 Hot air balloons achieve lift by heating the air inside the envelope (the overhead canopy of the whole balloon) using liquid petroleum gas (LPG) from burners. The heated air becomes less dense and therefore lighter. Cooling the air in the envelope-or letting some out-makes the balloon descend. The balloon basket, which is connected to the envelope, carries the pilot and passengers. Up to 20 passengers can be carried in Australian commercial operations. However, most operators limit themselves to about 16 passengers. Privately operated balloons are smaller-some carry only one person. The envelope is initially inflated by cold air, usually generated by a large fan, or fans, on the ground. As the envelope begins to inflate, the burners blow hot air into the balloon. A balloon’s descent can also be controlled with a parachute vent at the top of the envelope (or a smart vent if one is installed) by pulling down on their control lines. The parachute vent can be opened and closed while airborne, but a smart vent is normally only used for touch down, because it needs to be re-seated manually. Two rotation vents on either side of the envelope control the rotation of the balloon to left or right, for passenger viewing, or for alignment when landing. The pilot operates these using rotation vent lines. The vents do not steer the balloon. 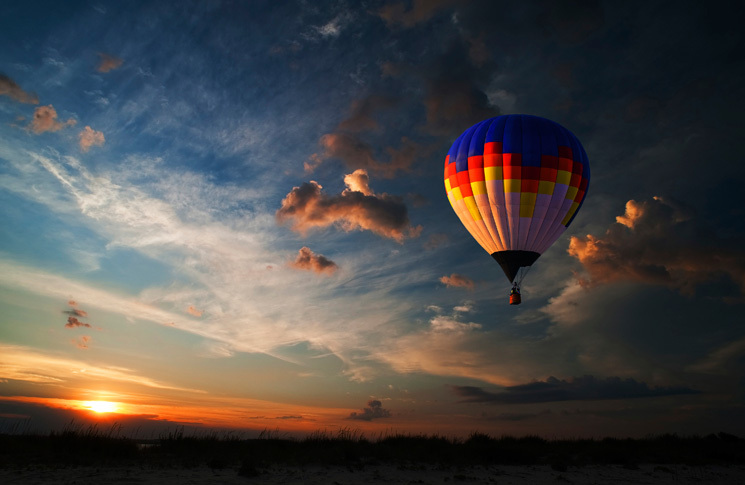 A change of direction is usually achieved by the balloon ascending or descending to a different altitude. Even very light winds can flow in different directions with only a small change in altitude. This is why most balloon flights are made in the early morning, as it is the best time of day for light and stable winds. CASA requires balloon pilots in Australia who carry paying passengers to have a commercial pilot (balloon) licence, similar in its extra stringency to a commercial pilot licence for heavier-than-air aircraft, but with unique requirements for balloons. Balloon operators with flying training approval on their air operators’ certificates do the training, and CASA issues the licence. Private balloon pilot certificates, which can only be used for private flying, are issued by the Australian Ballooning Federation (ABF). A student pilot must meet training requirements with an ABF instructor and pass a test for a private certificate with an approved ABF examiner. In February 2013, as the sun rose over the Valley of the Kings in Luxor, Egypt, 20 tourists, from Britain, Hong Kong, Japan, France and Hungary, were about to land after an hour-long flight over the historic ruins. With the balloon just 10 feet away from touchdown, ground crews pulled on mooring lines to help guide the huge craft down. There is no official report on what happened next, and given the current political situation in Egypt, it may be some time before one appears. Other sources said that as the ground crew hauled the balloon down, one of the mooring ropes cut through gas cylinder leads. Fire quickly followed. One passenger and the pilot jumped immediately, from about 16 feet above ground. They survived, although the pilot had burns to 70 per cent of his body. Seven others jumped later, as the balloon climbed rapidly. All these people died. The other passengers probably lived a little longer, until the balloon fell back to earth after an explosion, thought to be of a gas cylinder, took place about 1000 feet above the ground. Whether they were killed by impact or fire is unclear. Egypt’s civil aviation minister told Bloomberg News the pilot had jumped from the basket without shutting off the gas valve, leaving the remaining passengers to their fate. The Egyptian Civil Aviation Authority announced the suspension of balloon flights and an investigation into the crash. Two months later, balloon flights resumed, with new regulations-calling for further training of pilots and ground crews, and constant monitoring of how each balloon operator maintained gas fittings to ensure compliance with the manufacturer’s standards. It was the second round of safety–related actions for the Egyptian ballooning industry. The first was prompted by a series of accidents, including one in 2009 where 16 tourists were injured. The first reforms had included a six-month grounding intended to allow pilots to undertake extra training. Other reforms included adopting a single launch area and a limit of eight balloons aloft at any one time. However, incidents continued. The balloon involved in the Luxor crash was filmed three years earlier, in 2010, falling into the Nile, crashing into a boat and injuring several occupants. You may want to update the para on Parachute vents and smart vents as a smart vent is smart because it has the advantage of staying open until a second cord is pulled when it resets. By staying open it allows the warm air to leave meaning that once you have landed, you do not get the balloon bouncing until buoyancy is lost. Older balloons have triangular vents held by Velcro that once opened need to be reset on the ground.